Like my quest for the perfect briefcase, I needed an iPad case that looked great and fit my style. 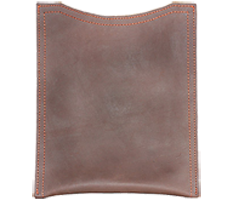 The Rustic Leather iPad sleeve is made of 100% full grain, thick boot leather with double stitched, polyester thread that will hold up to water, sun and most chemicals. 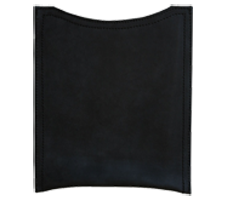 It holds the iPad snugly within a beautiful cocoon of distressed leather that will look better and become more supple as time goes by. 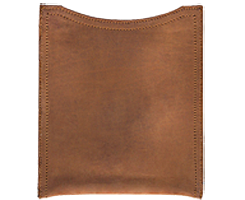 If Indiana Jones had an iPad on his quest for the Arc, he would have kept it in a Rustic Leather iPad Sleeve. "I love this case, it fits my gen 2 iPad perfectly plus it matches my briefcase." "Well made & very nice"
"Very nice and shipped fast! Thank you :)"